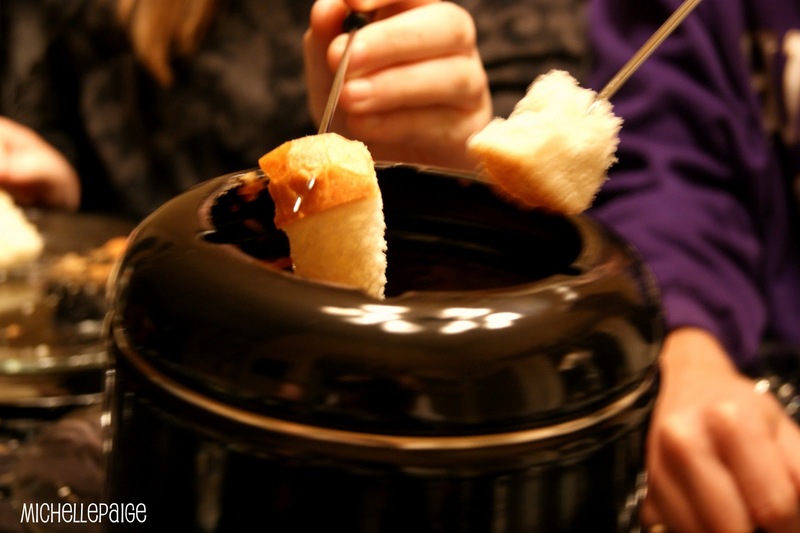 michelle paige blogs: Fondue--It's Fun to Do! I live with a punster, what else can I say about the title? I had to do it! 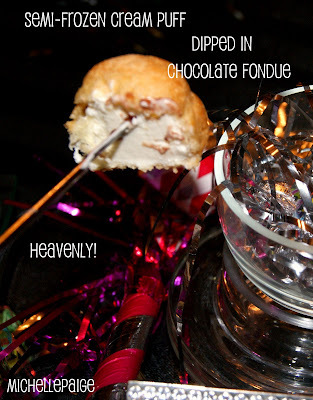 I'm sharing our fondue recipes from New Years Eve. Pizza Fondue--a wonderful recipe that our Dinner Group introduced to us many years ago! Brown onion and hamburger in a large skillet. Drain fat. 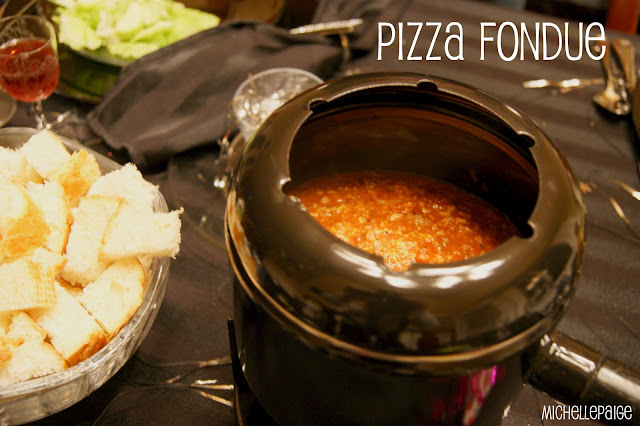 Pour into fondue pot or a crockpot on low. 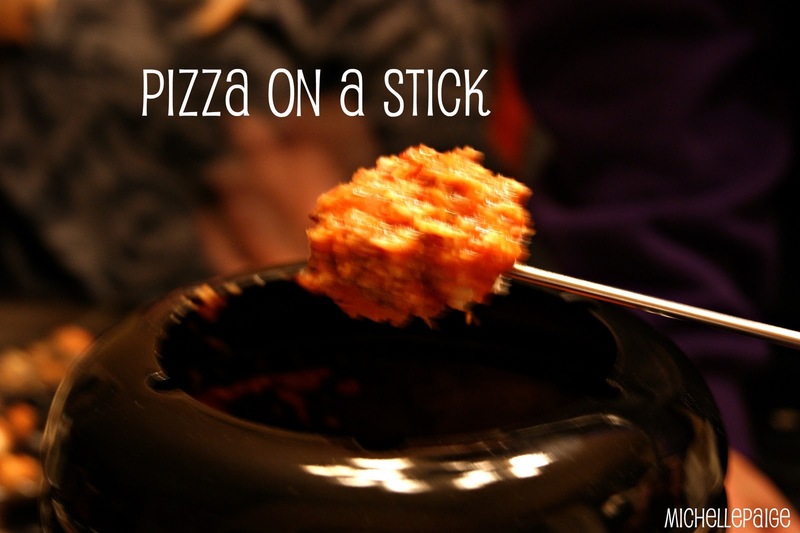 It really does taste like pizza on a stick! 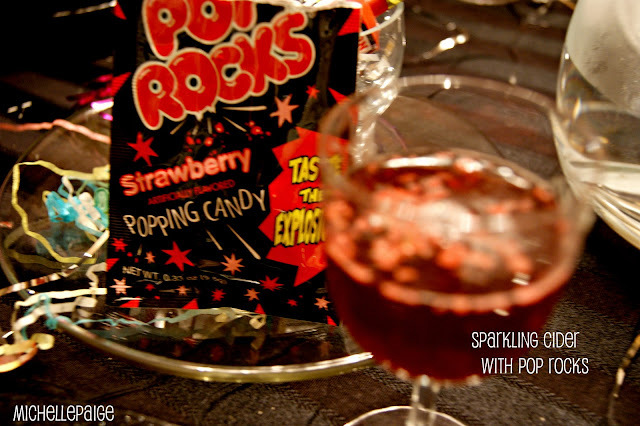 Also on the menu, sparkling cider with Pop Rocks thrown in! My mom told me about this idea and it sure adds a little pop and crunch to your drink! Watch out for popping candy hitting into the eyeball of your son! Warm cream in saucepan on the stove. Bring to a low boil. 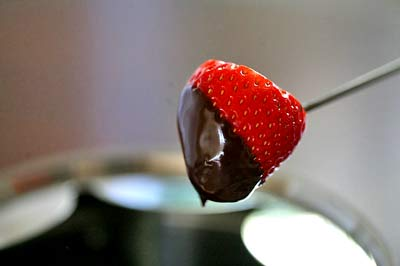 Serve in a fondue pot on low heat. 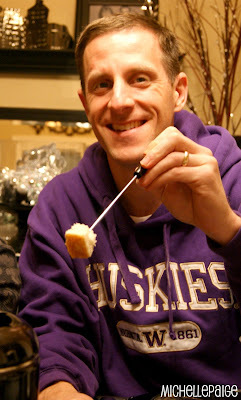 perfect for serving our dessert dippers. If you have never experienced the taste of a semi-frozen cream puff dipped in creamy chocolate fondue, you are seriously missing out! Semi-frozen cheesecake squares rank up there too! Soooo good! And of course we ended our meal with the Smashing Surprise Cake! You smash the cake to reveal the surprise. 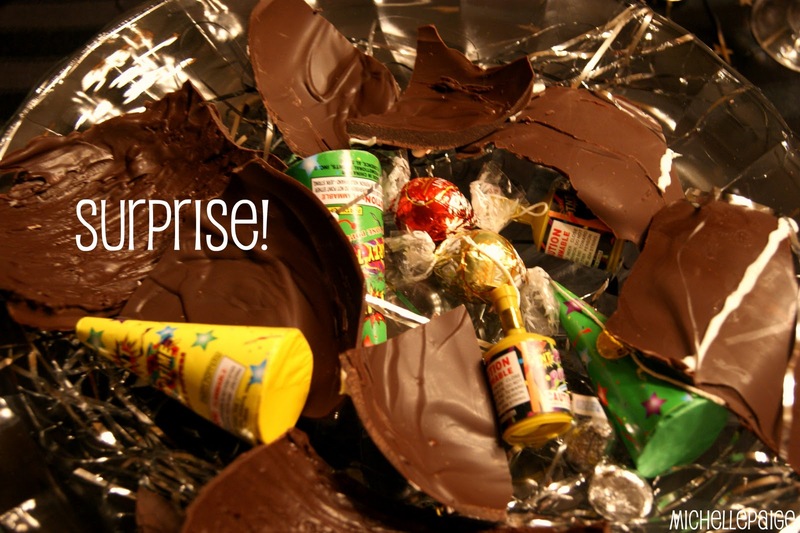 Click here if you missed this post. 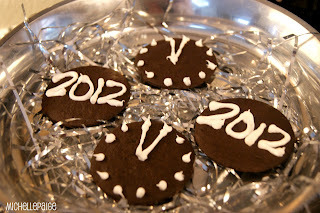 Click here if you missed the New Years Decor. 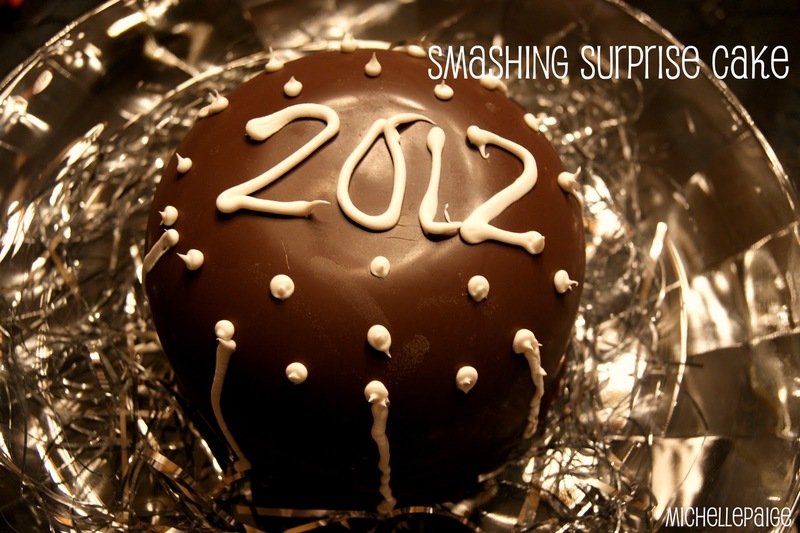 Hope 2012 is off to a good start! Happy New Year! That all looks delicious!! I never thought of the cream puffs...I've got to try them. 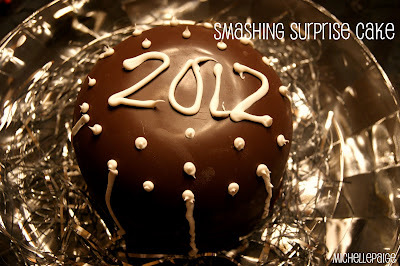 And I really love that chocolate smash cake...such a fun idea. Thank you for sharing!! Oh YUM!! I've been wanting to make fondue but haven't yet so thanks for the fabulous recipes!! I love the idea of pizza fondue! That would be great for a party or something! You are so creative! 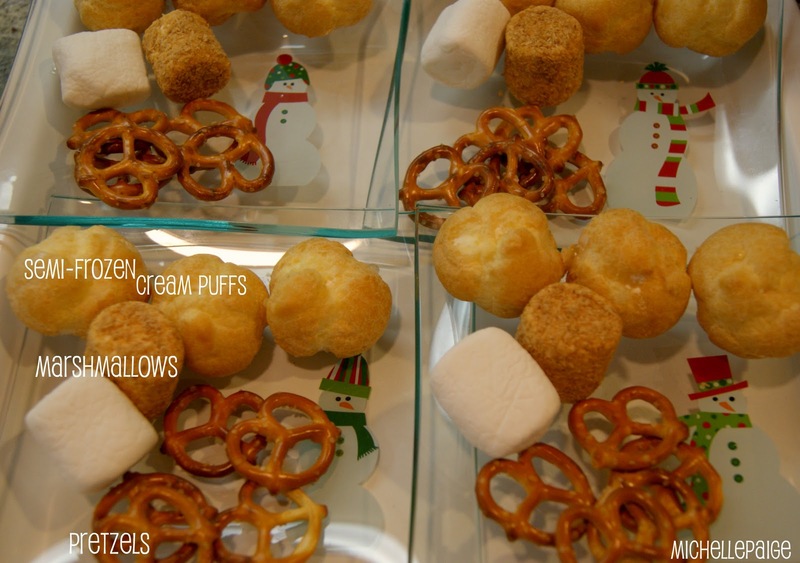 I love the pizza idea, and the cream puffs, never would have thought of this at all! Happy happy new year! That cake is simply marvelous and I love the pop rocks drink! Thanks for always sharing such amazingly unique and fanatic ideas! Hope 2012 brings you many many blessings.